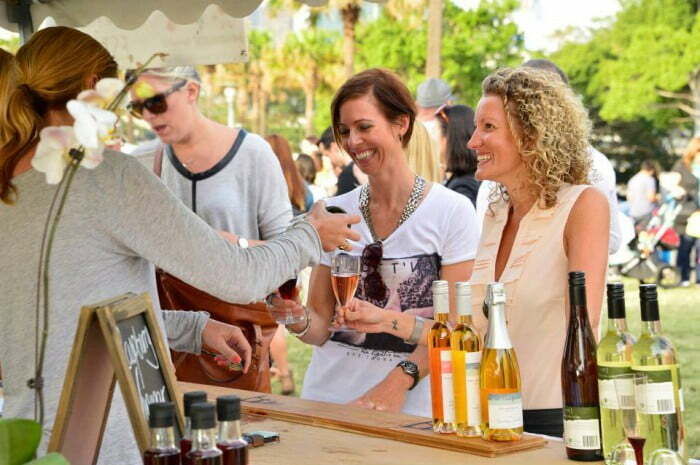 Cheers to great food and wine at the Pyrmont and Mudgee Region Festival. Every May we count down the days until the Pyrmont and Mudgee Region Festival rolls around. The festival is returning for its seventh year, bringing the country to the city for fifteen days of wine, food and art from the 13th to the 27th of May. The highlight of the festival will be the two-day free headliner events on the 20th and 21st of May (11am-5pm) which will see live music, rides, entertainment and approximately 100 stalls spanning across Pirrama Park. Did we mention this years’ festival boasts the biggest lineup of Mudgee wineries in the festivals history? Iconic Mudgee wineries including Bunnamagoo Estate, Huntington Estate, Robert Stein Winery and Gooree Park Wines will return to pour their finest drops to the public – and what’s wine without some nosh to pair it with? Some of Mudgee’s finest produce merchants including Figtree Food Company, Mudgee Honey Haven and High Valley Cheese Co. will keep your taste buds tingling throughout the day. A new addition to this years’ festival is the Pyrmont Beer Garden, where Batch Brewing Co, Gibbs Brothers Brewing Company and Young Henry’s will pour their brews at a stunning harbour side pop-up. If you’re settled into the Beer Garden but don’t want to miss out on the fun, the stage nestled alongside will showcase Pyrmont-based singing sensation Hayley Jensen, who was an Australian Idol finalist in 2004 and appeared on The Voice in 2014. Pyrmont and Mudgee Region Fesival offers a range of event highlights including the returning produce market, wine tastings, wine dinners, regional produce, the Pyrmont Art Prize and more. To conclude the Pyrmont Festival, Pizzaperta will offer gourmet pizza with toppings from the Pyrmont Growers Market paired with Italian varietal Wines from Mudgee’s di Lusso Estate. Phone 1800 700 700.